Capping two years of unprecedented growth in the Asian nation, Jaguar Land Rover has just opened its 100th showroom in the heart of Beijing, featuring state-of-the-art repair and service facilities and employing 110. "Jaguar Land Rover has ambitious plans for growth and as well as developing our global manufacturing footprint, we are investing in our global sales and service infrastructure, to enhance the experience our customers have of our brands,” said Phil Popham, Global Sales Operations Director, Jaguar Land Rover China. “Our dealer partners have also invested more than £1bn ($1. 6 billion) in the Jaguar Land Rover franchise since 2008, creating a global dealer network of more than 2,700 which will help us realize the global potential of our brands in the future." The brand has also established three training centers, three Land Rover Experience centers plus five parts distribution sites to support the network of dealerships. "The opening of the Beijing Changjiushida 4S Center represents the 100th addition to our nationwide network of dealer partners and a significant mark of our China success,” remarked Bob Grace, President of Jaguar Land Rover China, during grand opening ceremonies. "Our strategy has focused on bringing Chinese consumers the very best and latest new cars, tailored to meet their requirements. We want to bring these vehicles to customers throughout China." 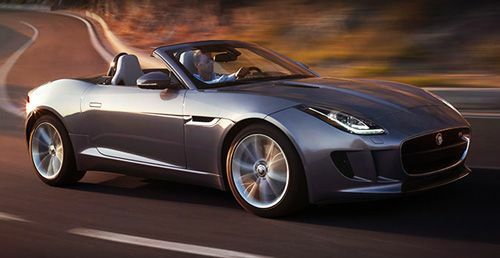 Notably, Jaguar Land Rover has recently gained official approval of its joint venture with Chery Automobile Ltd in China and plans further investment of another £2bn ($3.2 billion) into products and facilities during the fiscal year beginning in March 2013. The firm employs 25 000 people, primarily in England, marketing vehicles in 170 countries around the world, with 80 percent of its output for export. It is one of the largest exporters in the UK with 85 percent of its profits generated by international sales, amounting to over $14 Billion last year. It is working hard to expand its market impact – especially in Brazil, India and China. Interestingly, as the Jaguar F-Type and Land Rover made North American debuts at the Los Angeles Auto Show last weekend, they were also making Asian debuts at the Guangzhou Motor Show in China. The big cat with the seductive purr is pursuing its prey the world over – better not get caught in its gaze! Then again, there are far worse ways to go.